Any claims for non-delivery, shortages or damaged items, will only be accepted if received in writing within 5 working days of the date of delivery. On receipt of this notification we will verify the claim before informing you of the next stage in the process. This will cover advice on and whether you need to return the goods, and arrangements for credits. 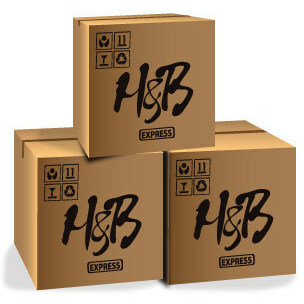 All goods returned to H&B Supplies must be securely packaged to avoid further damage occurring during transit. Any reimbursement of return carriage charges will be made at the discretion of H&B Supplies. If you would like to return goods, please contact us so we know to expect your shipment.